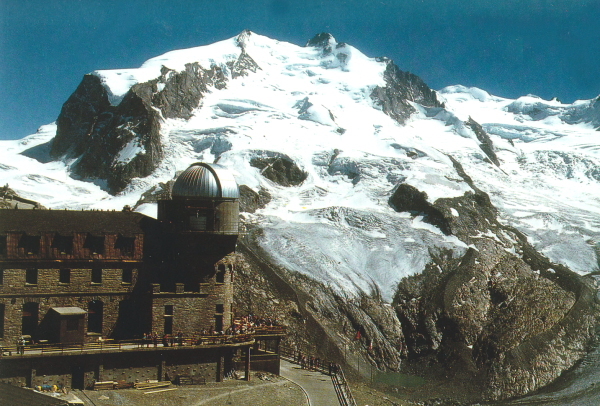 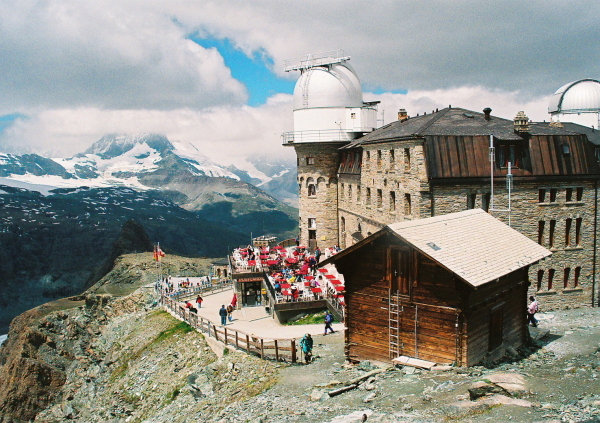 We climbed about 50 minutes by the mountain climbing train from Zermatt , we arrived at the observatory Gornergrat. 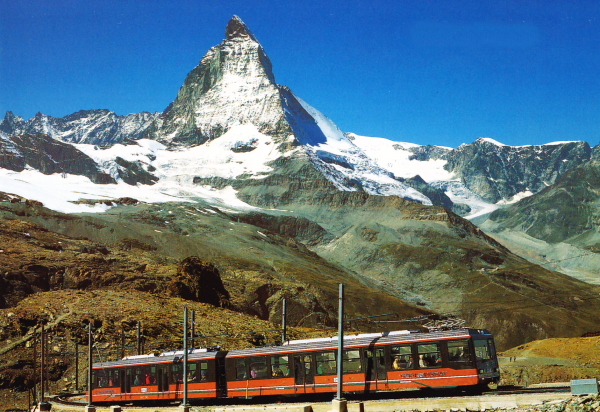 We can see the beautiful scenery of the Matterhorn(4,4478 m}. 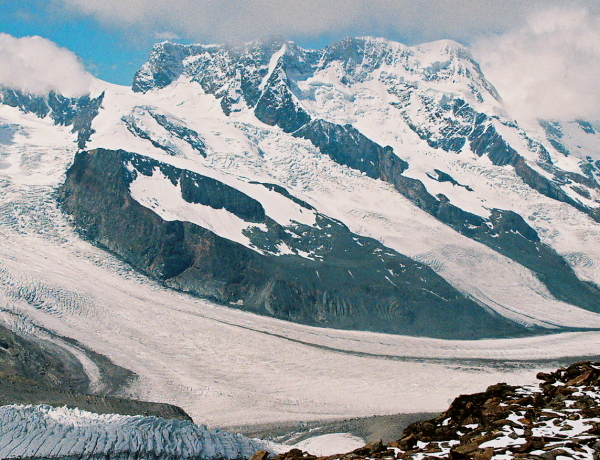 Glacier Findel and Gorner Findel. 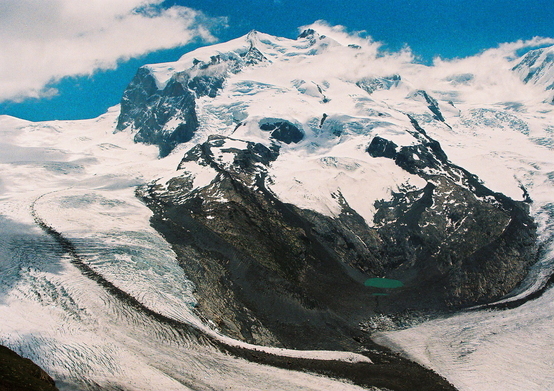 In the opposite direction we can also view Monte Rosa(4634m), Breithorn (4,164 m),and Risukamu (4,527 m) . 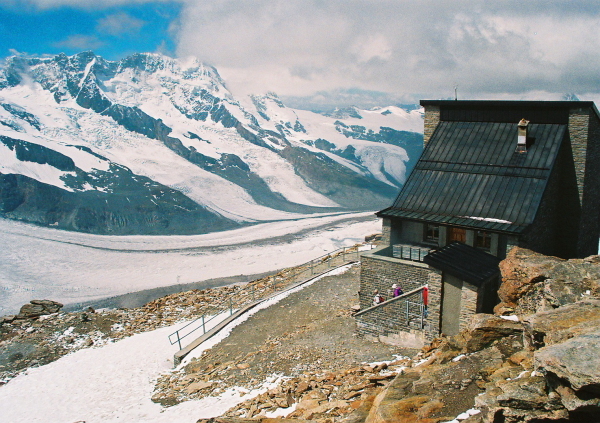 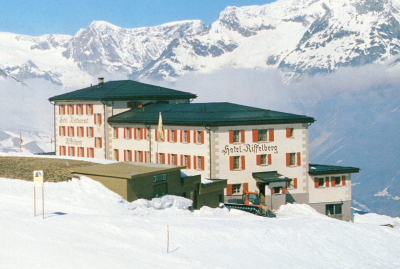 We can see the ridge overlooking the 360-degree panorama of the name of the European Alps peak.